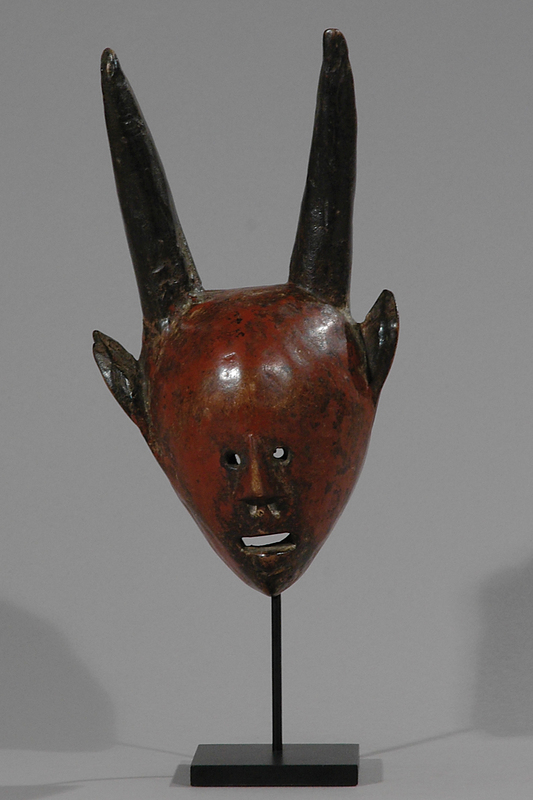 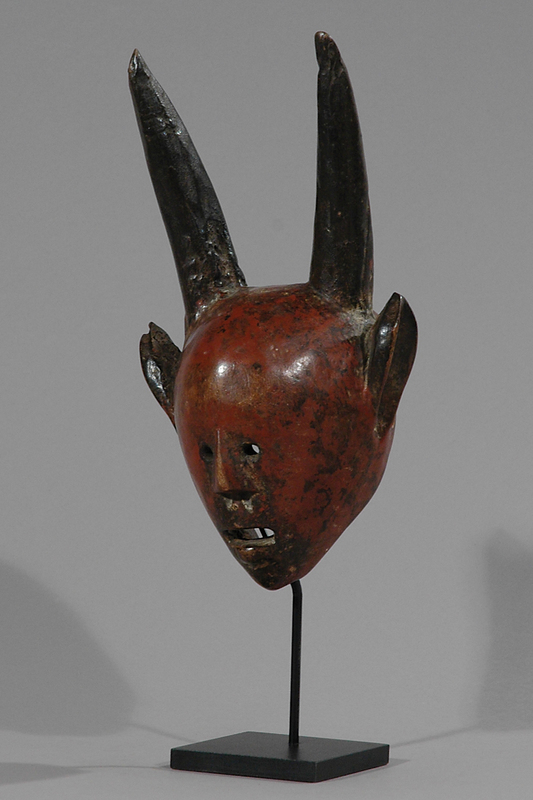 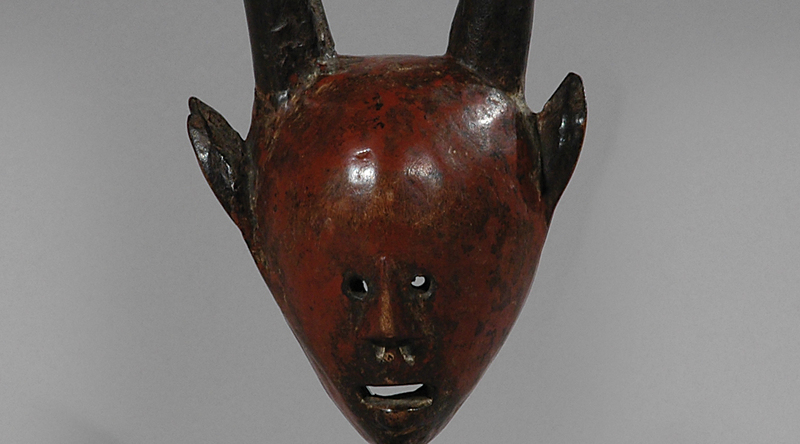 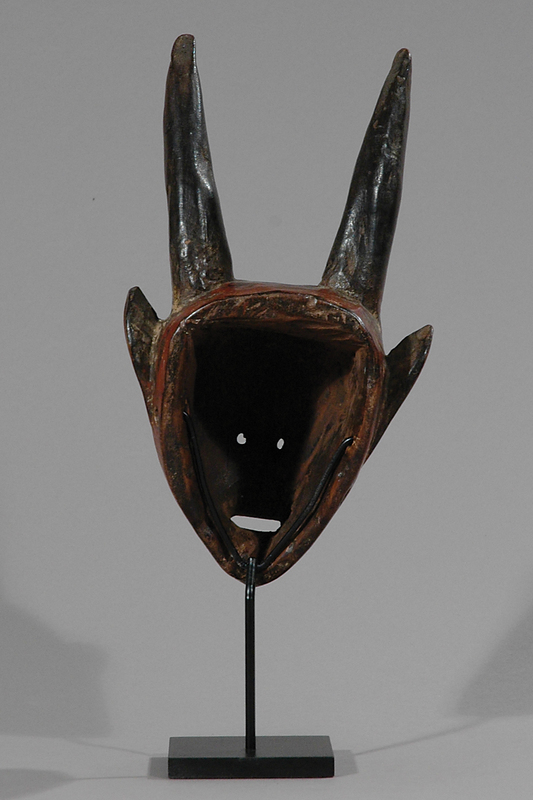 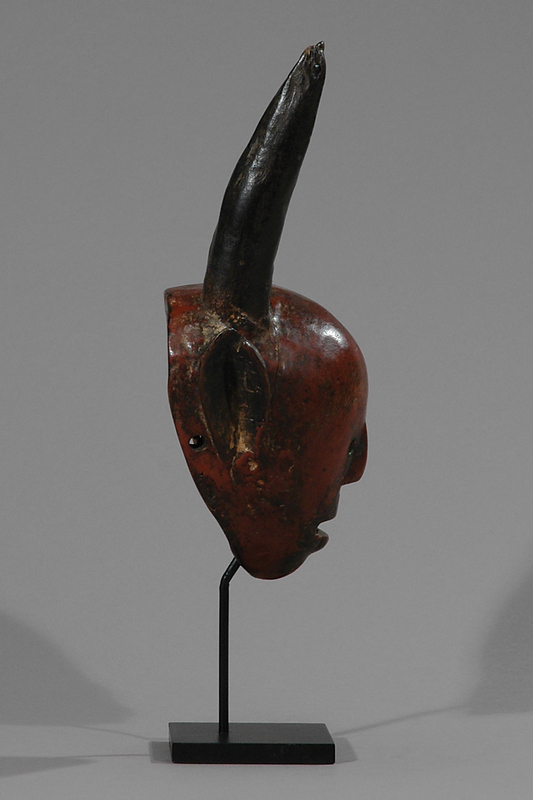 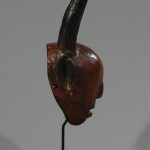 This fine small midimu (spirit) mask from Makonde, Tanzania appeared at the end of circumcision rites, when the young boys and girls returned from the bush camps. 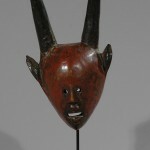 The masquerades fulfilled ritual as well as educational functions. 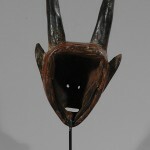 Provenance: Belgian collection ex German collection (est. 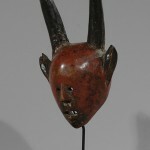 collected between 1913 and 1917).